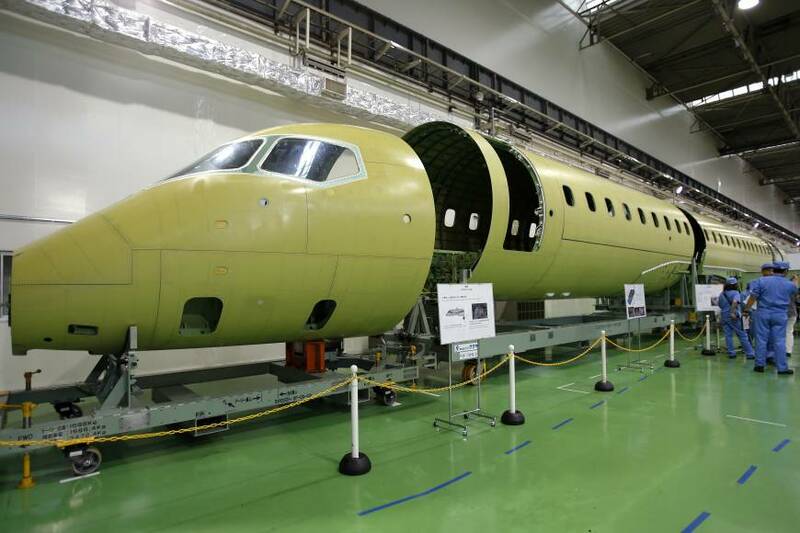 “Nagoya, December 24, 2015 –Mitsubishi Aircraft Corporation and Mitsubishi Heavy Industries, Ltd. (MHI) today announced that the companies will change the first delivery schedule of the MRJ (Mitsubishi Regional Jet), their next-generation regional jet, from the second quarter of 2017 to approximately one year later. The first flight and the subsequent flight tests have confirmed the basic characteristics to be satisfactory. However, we also have recognized several issues as we attempt to accelerate our development. In order to tackle these issues and address the perspectives below, we have reviewed and revised our overall schedule. Specifically, in the progress of our engineering work together with experts in the United States, we have made additions to and revisions of test items in order to complete a better-integrated aircraft. These have been reflected in the new delivery schedule. In addition, we have undertaken an overall review with our partners, and reflected this in our development schedule. Looking ahead, we will be managing our milestones, and increasing the precision of our schedule as we progress. We will also carry out flight test campaign in North America as soon as feasible and assign the roles and responsibilities of the three engineering bases (Mitsubishi Aircraft Headquarters, Seattle Engineering Center and Moses-Lake Test Center) for prompt execution in all fields. With all these measures, we aim to propel the development of the MRJ. We regret the delay but it is probably necessary in order to complete a better aircraft! “The HondaJet HA-420 light business jet has received FAA (US Federal Aviation Administration) type certification (on December 8), allowing Honda Aircraft to begin making deliveries within days. 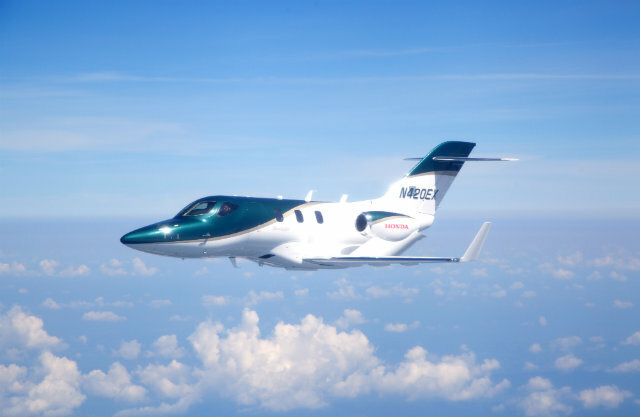 Greensboro, North Carolina-based Honda Aircraft has been pursuing certification of the light jet for more than 12 years. The original HA-420 prototype completed first flight in 2003 but flight testing prompted Honda to redesign and enlarge the aircraft’s engine. A partnership with GE Aviation produced the HF120 turbofan. Great news but when will we see some “action” in Europe? Looking forward to that! More about the first, second and third MRJ Test Flights !! “At 9:35 a.m. on November 11, the first flight test aircraft of the MRJ approached takeoff speed, easing up slowly at first, then quietly soared into the autumn sky. After its takeoff at Nagoya Airport, it proceeded to training airspace over the Pacific, with a view of Mt. Fuji in the distance. Tests confirmed the aircraft’s basic characteristics in maneuvers including ascent, descent and circling left and right. The first flight test aircraft reached a maximum altitude of 15,000ft (approx. 4,500m) and a maximum speed of 150Kt (approx. 280Km/h). It landed at Nagoya Airport at 11:02 a.m., completing a successful first flight lasting 1 hr., 27 min. Cheers of delight and relief were heard from officials looking on from a gathering area by the runway and engineers standing ready in our office to handle possible contingencies, as well as from crowds of people watching from parks and other locations in the vicinity. For us, for Japan, and for the worldwide aviation industry, November 11, 2015, will go down as a historic day. This test accomplished the first flight of a domestically-developed passenger airliner since the YS-11 53 years ago. Japan is going to the Moon!! 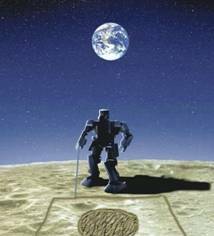 a Japanese Robot on the Moon? We need an update on the status of the Maido-kun project (a humanoid robot to be developed by SOHLA in Higashi-Osaka) but JAXA is definitely targeting the Moon! Which wonders will Japanese fine precision technologies deliver? What do you think? Congratulations – MRJ First Flight Live !!! Press Release from Mitsubishi Aircraft Corporation & Mitsubishi Heavy Industries, Ltd.
Mitsubishi Aircraft and MHI will broadcast the “MRJ (Mitsubishi Regional Jet) First Flight Live” streaming , especially the takeoff and landing from Nagoya Airfield, Japan. 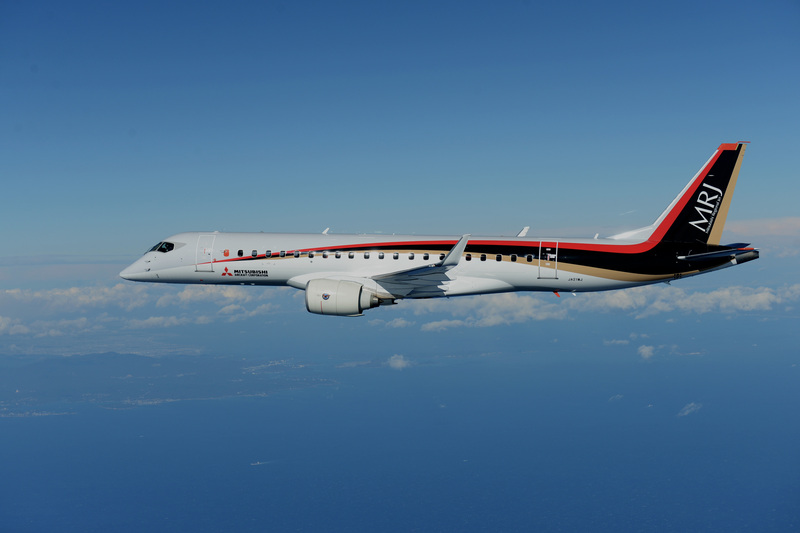 Mitsubishi Aircraft Corporation and Mitsubishi Heavy Industries, Ltd. (MHI) today jointly announced that the first flight of the first flight test aircraft of the MRJ is scheduled to take place in the morning of November 11. MRJ’s official flight approval: A move forward towards the first flight !! “The 1st flight test aircraft of the MRJ started mid-speed taxiing tests on the runway of the Nagoya Airport (Toyoyama-cho, Aichi Prefecture) in early October to confirm braking and direction control steering. The MRJ gained flight approval on October 29 following the pre-flight review board by the Ministry of Land, Infrastructure, Transport and Tourism. We wish the best to the MRJ Team for the first flight, which might take place soon, in Novembre! We will keep you informed! Stay tuned! A “made in Japan” airplane for a top Japanese airline? Why not? ANA has already ordered 25 regional jets MRJ (sold by Mitsubishi Aircraft). Japan’s Aerospace Industry ambitions are real ! Good News for EU-Japan Aerospace Business!